Faith based drug rehab is a choice you can make. 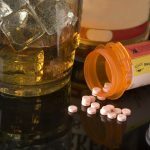 As you can see when looking around this site, there are countless options available when it comes to treating the dependence on drugs and/or alcohol. One of the reasons that so many different choices are available is because there is no one particular method that works for everyone. Countless people find spirituality an extremely comforting mechanism, something that provides them with solace. Belief plays an important role in faith-based programs, designed to take advantage of spirituality. The goal is to use both the religious and rehab option to live a life free from dependency and enjoy a better life. Out of all the countless faith-based treatments available, the traditional 12-step program is undoubtedly the most famous one. When a program is a faith based drug rehab, it means that patients can overcome their dependence by relying on God and using the power of spirituality. Even though the twelve-step program is overtly Christian, programs do not merely have to be devoted or limited to a particular religion or deity. Some recovery options prefer to place faith in a Higher Power, rather than directly referring to God. Even though many of the ministry options use different variations, the belief remains the same: a power greater than the individual can help with the problems. Some claim that dependency does not merely affect the body and the mind, but also represents a spiritual crisis. This is clearly represented in AA (Alcoholics Anonymous) where they repeat the importance of spirituality; the fact that the patient needs someone greater than themselves in order to overcome their current struggles. Even though this notion is not universally accepted, it may positively influence those who come from a strong devout background. Studies have shown that spirituality may help patients experience positive emotions and may even be beneficial to their health. Having said that, it is important to recognize most of the evidence in support of this theory remains anecdotal. If a person feels that their faith is important to them, perhaps they would feel more comfortable in a religious rehabilitation facility instead of attending rehabilitation at a secular facility. Even though the treatment received may be the same, the spiritual centers will have the same core value that a patient says he or she values. This means that they may feel more support as they go through the various steps of recovery; keeping in mind that feeling of support is an important part of maintaining long-term sobriety. It may be possible to discuss religious or spiritual concerns while simultaneously discussing physical and psychological needs, you may see where this would be preferable. Another benefit is that everyone enrolled in the program holds the same core beliefs. This provides an opportunity to fellowship with other patients who are struggling with the same issues. 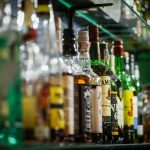 Many patients in recovery have stated that this only strengthened their beliefs and renewed their desire to become sober. Because there is at least one common interest, it may also make it easier to continue the fellowship with group members after the patient leaves the facility. Of course, there are a number of different aspects necessary for recovery, spiritually based or not. What treatment options are offered? – Does it offer individual or group counseling? Oftentimes you will also see the option to participate in 12-step groups in these non-secular options. You want to make sure you know what is being offered and what principles the counseling sessions are based on. Of course, counseling must still have psychological principles, even when built on a spiritual foundation. 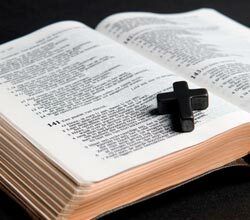 What is the faith basis? – Not every spiritual rehab center is going to offer you the same options. Some may uphold an entirely different set of beliefs or religion than you do. Before you begin a program, it is crucial to learn more about the spiritual principles the rehab center operates on, especially if you believe this to be important to you feeling comfortable. If you do not agree with the spiritual basis of the program, it increases the odds that you will feel uncomfortable, which would ultimately hinder your ability to get as much out of the program. How does the center incorporate spiritual principles? – You have to be comfortable with the spiritual foundation of a recovery program, but you also have to be comfortable with the way that the treatment plan incorporates faith-based principles. For example, some programs may require you to attend prayer services while others would not. You have to be comfortable with your admission. There are plenty of people who feel uncomfortable with any mention of spirituality. It should be obvious that many of these patients would likely struggle with faith based drug rehab treatment options. There are countless secular options available that do not have a spiritual element. Those who do not wish to rely on God or an alternative Higher Power may prefer to go a different route. There have also been patients that enroll in such a program but decide to forgo the religious aspects, focusing solely on the treatment methods. The important thing is to find an approach that works for each person. Whether wanting to find a way to overcome a dependency with or without religious undertones, we can help you with a recovery program that matches your needs.